TONIGHT! 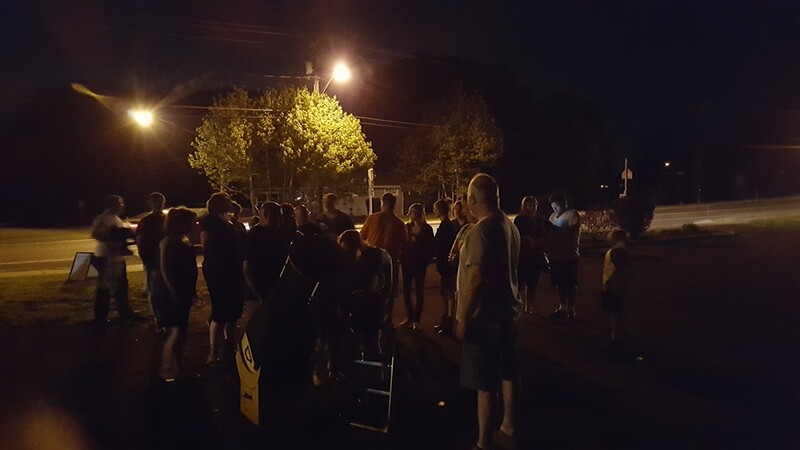 12 May 2016 – Sidewalk Astronomy Night With Larry Slosberg At The Fairmount Wegmans Parking Lot, 8:30 – 10:30 p.m. This just in from CNY sidewalk astronomer extraordinaire Larry Slosberg. Click above to make directions to the Fairmount Wegmans. 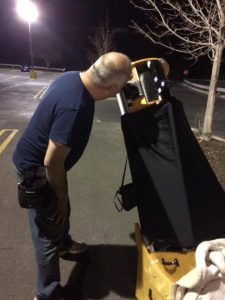 Tonight, Thursday May 12th, I am going to be hosting another “sidewalk astronomy” night at the Fairmount Wegmans parking lot. I had a great response to the last one I did, and I know that there were many people that wanted to come but couldn’t, so here I go again. Provided the skies stay reasonably clear, I will be setting up my telescope in the Fairmount Wegmans parking lot from about 8:30 to 10:30 (Check here at about 7:30pm to see if I have to cancel due to cloud cover). Tonight, we will be viewing Jupiter and the Moon (nearly first quarter). And maybe even Mars and/or Saturn for those who can stay later (Mars rises at 9:15 and Saturn at 9:50).